Ashwin Venkatesan is a member of the IT Services Research team and assists clients on topics related to Cloud and Infrastructure Services. 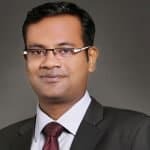 Ashwin is responsible for driving syndicated as well as custom research engagements covering service provider landscapes and current trends across the broad set of IT infrastructure services themes. To read more, please see Ashwin’s bio. IT infrastructure environments are getting increasingly complicated to manage, particularly because enterprises are adopting agile delivery models – e.g., cloud and as-a-service – to meet the dynamic needs of their digital businesses. As assets proliferate, process complexities rise, and management costs escalate, enterprises realize the need for a more coherent, strategic approach to automation to regain control. 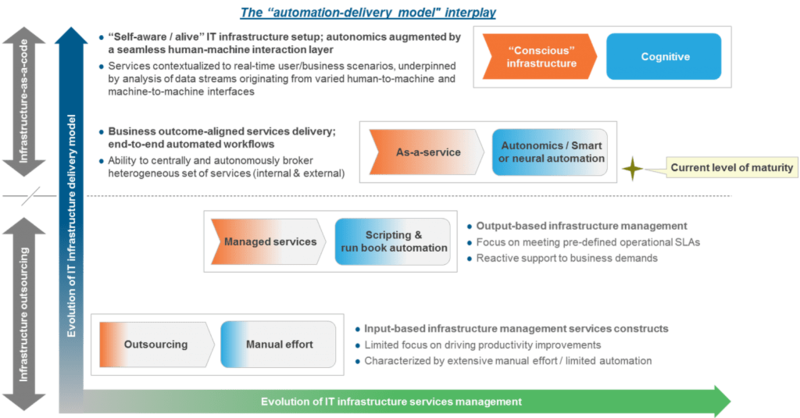 This renewed focus of automation within IT infrastructure services has new-found implications for IT service providers. Service providers stand to derive significant cost and productivity benefits from, and showcase value within engagements through, automation. That said, revenue cannibalization is a short-term outcome for which they need to brace. However, this comes against the backdrop of a highly competitive pricing environment and enterprises’ increasing insourcing initiatives. To complicate matters, the margin implications of automation can be tricky, as automation runs fundamentally contra to the arbitrage-driven margin model. Service providers lagging in industry growth will be caught in a vicious cycle of margin contraction and degrowth unless they focus on reducing overhead, and make significant and prompt investments in strengthening their core delivery and account management capabilities to capture revenue run-off as a result of automation. High-growth service providers also need to remain wary, and use automation as a growth lever without holding an excessive margin orientation in order to stay ahead of the pack. This includes firming up their strategic business model by assessing automation strategies in the context of aspirations for a product + services versus a services only play. And the answers may crucially depend on their current starting positons. As automation stands to disrupt the IT infrastructure services space more than ever before, you can be certain we’ll continue to pay close attention to developments. 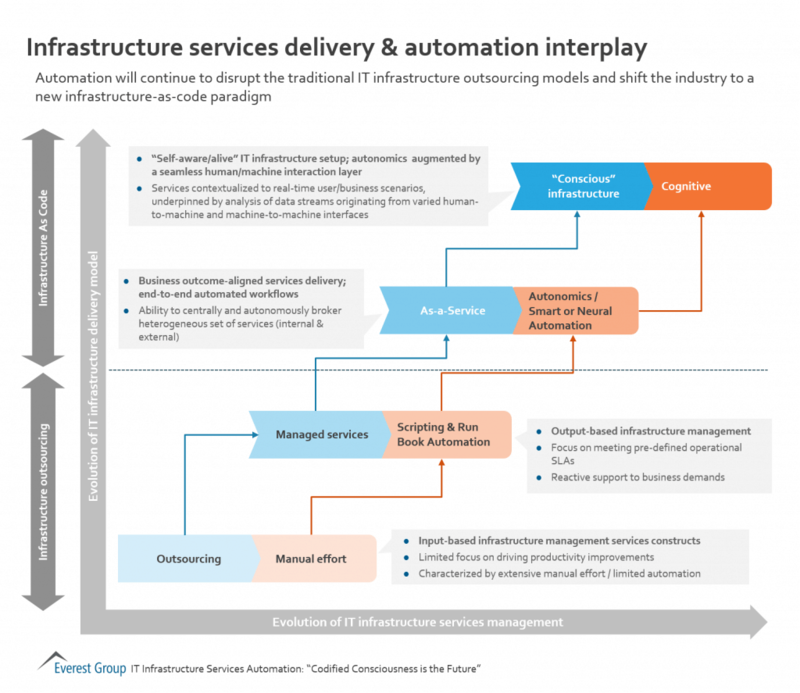 If IT infrastructure services helps you win your daily bread – so should you! EMC has taken a significant step forward in its hybrid cloud journey with the announcement of its acquisition of Virtustream in an all-cash transaction of US$1.2 billion. Founded in 2009, Virtustream is estimated to have clocked ~US$ 100 million in revenues last year through its cloud hosting services and management software (xStream) offerings – while cloud IaaS accounted for 60% of this revenue, the remaining 40% came from management software licenses. The U.S.-based company will eventually become the managed cloud services division within the EMC Federation business. The transaction is expected to close by the third quarter of 2015 and be additive to EMC’s revenues starting 2016. EMC is well known for its deep pockets. With about 70 acquisitions since 2003, the inorganic route is clearly not new to EMC (to put it mildly). The company has not shied away from flexing its muscles from time-to-time to build capabilities for its mainstay storage business and beyond. The emergence of cloud has had a strong impact on EMC’s core storage business, which has been witnessing a sluggish demand over the past few years (the overall Information Storage division of EMC has witnessed a CAGR of ~3% over 2012-14). While EMC has rejigged its focus to cover new storage products, this “strategic tweak” in itself is not expected to arrest EMC’s plummeting revenue growth. Therefore, EMC has put its bet on the “next big thing” in the IT industry – hybrid cloud. EMC’s association with VMWare and Pivotal has ensured that EMC is no newbie to the cloud; however, the real sign of intent from EMC came with the launch of its Enterprise Hybrid Cloud Solution last year. The launch also coincided with a triplet of cloud acquisitions – Cloudscaling (an OpenStack IaaS solution developer), Maginatics (a cloud-enabled storage provider), and Spanning (a cloud-based application data security provider). So what does Virtustream bring to the table? Meaningful clientele: Virtustream brings a credible roster of clients including Coca-Cola, Domino Sugar, Heinz, Hess Corporation, and Kawasaki, which will get added to EMC’s kitty (to cross-sell its broader hybrid cloud and storage offerings). Virtustream’s rationale for being acquired? The development may have come across as a surprise for many market observers, given that the company was grappling with the idea of going public barely six months ago. While Virtustream was going great guns, the brand recognition of a cloud provider typically plays a huge role when it comes to large enterprises looking for sourcing options. Consequently, hitting the “next level” of growth trajectory potentially becomes a significant challenge for players such as Virtustream (especially with a large enterprise focus). Therefore, it comes as no surprise that Virtustream’s CEO, Rodney Rogers, claims to have considered multiple suitors over a period of time, before choosing EMC (based on terms offered and a chance to become a part of the EMC Federation). Does this point to more consolidation in the cloud IaaS market? The EMC-Virtustream deal has been preceded by multiple notable acquisitions in the cloud market over the past few years (Terremark by Verizon, Savvis by CenturyLink, SoftLayer by IBM, Metacloud by Cisco, and GoGrid by Datapipe). As various players in the enterprise cloud market, be it global IT service providers, telecom providers, or public cloud providers look to gain a stronger foothold, it is hard to bet against other similar acquisitions happening in the near future. The question is which company will be the next one to get gobbled up? CloudSigma? DigitalOcean? Joyent? ProfitBricks? Or even Rackspace? That only time will tell. 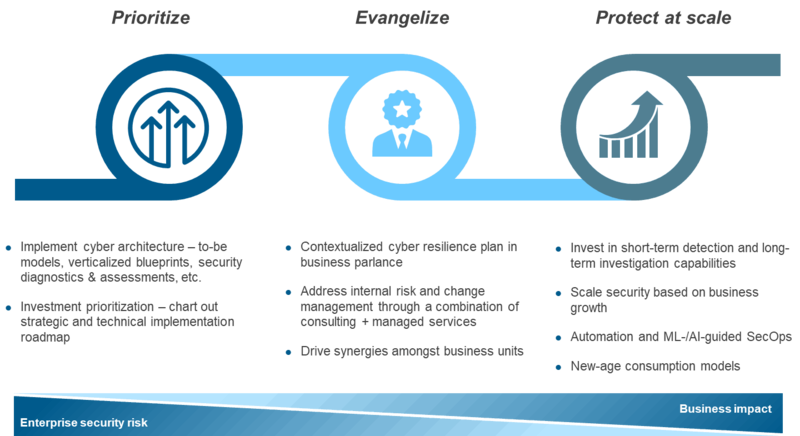 Enterprise buyers are increasingly realizing the need to improve their application outsourcing (AO) productivity levels in order to curb the spiraling costs of their application functions, whether they are delivered by the internal IT organization, global in-house centers, or a service provider. Many buyers are also decreasing the volume of work that they outsource, due to their increasing frustration with their external service providers’ lack of ability to deliver greater productivity. Some of the traditional measures buyers have adopted to mitigate these issues include automation of ADM processes, service provider consolidation, sourcing mix optimization, and application rationalization. However, they are not entirely satisfied with the outcome of these initiatives, and believe they can further improve. Everest Group believes they must not only augment these initiatives, but also start an organization-wide reform of application service delivery processes that includes development models, enterprise architecture, sourcing strategy, best practices, etc. even completely revamp their application service-related processes, if need be. Such measures could be initially painstaking and effort-intensive, but are bound to provide sustainable benefits in the long run. Moreover, buyers need to hold their service providers accountable for productivity enhancement. Most buyers believe that their service providers lack the capability to provide further cost and productivity improvements. Therefore, as noted above, a significant number of buyers are bringing select pieces of work back in-house to gain better control of their processes. Everest Group believes that if service providers are unable to match buyer’s expectations around productivity improvement, they will witness a significant churn in their client portfolio. Service providers need to first deploy the tried and tested methods of improving productivity (e.g., automation, delivery mix, etc.). However, they need to adopt additional measures, as outlined above, in order to bring about sustained productivity improvement. For further insights, please read Everest Group’s, “Application Outsourcing (AO) – Annual Report 2013: Declining Productivity Rising Anti-incumbency.” The report discusses the limitations of conventional strategies being adopted by buyers to improve the productivity of their AO functions, and the need for enterprises to evaluate broader organization-wide strategies in order to boost AO productivity. The report also highlights other interesting trends including a rebound in the European market and the increasing impact of mobility and analytics on application services.